House of Fraser is one of my all time favourite brands and has been for many years now, so I’m really happy to be able to host this giveaway with their help! 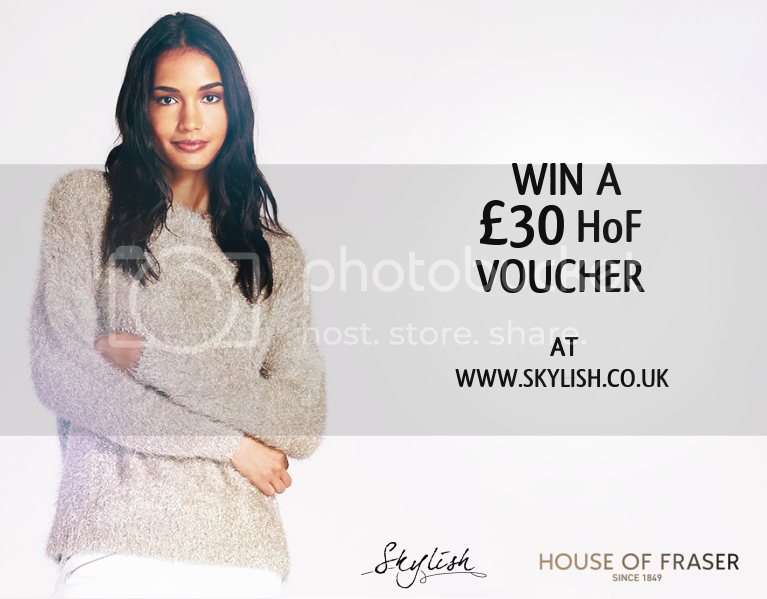 If you keep reading until the end of the post, you’ll see all the details needed to enter; up for grabs in a £30 gift voucher to purchase absolutely anything you want from HoF. I chose to go for this Biba Stevie super stretch black pair, which seem to be really popular at the moment (at the time of writing this there were 2 other people viewing it, and 11 had already purchased it that day); black jeans are definitely the easiest to style when it comes to also dressing them up for the night, as the colour is so simple and adaptable. For the day look, I kept it extra casual, so casual I even chucked some converses in there. I decided to match the jeans with this Ted Baker top (I really love this bow-tie type of style in tops), and to keep it from looking too monochrome I decided to match the outfit with this Grey & Willow jacket. Jackets and shoes are always a quick and easy way to bring colour to an otherwise quite boring, black and white outfit. For the night look, I obviously had to add in some heels; these Carvela heels are so beautiful I’m honestly considering buying them after I post this blog. Again, the look was kept dark with this Coast crop top, but as with my day look, the style of the top is what keeps it from being boring. I’m a big lover of faux-fur collar coats at the moment, so finished this look with a Dickins & Jones peacoat. If you’re going to check out the jeans on the HoF website, also be sure to check out everything else on offer, as they really do have some good bits to help you style up a nice outfit. This giveaway is UK only! One Response to "House of Fraser: Day to Night Style and Giveaway!"